One of my favorite things about living in Florida is the plant life. We have amazing plants growing everywhere. There are beautiful vines and flowers on every fence in my neighborhood. Most people have at least one tree somewhere on their property. Even the weeds growing in the sidewalk or pavement can be extraordinary. However, there is one flowering vine that sticks out for it's unique beauty. Passionflower is a Florida native and has been used medicinally by Native Americans for centuries. When the Spanish came to America, they used this flower to help teach the Native Americans about Christ and the crucifixion. These missionaries are where we get the name Passionflower from, as they named it after the Passion of Christ. The 10 petals represent the disciples that were present for the crucifixion. The three stigma represent the nails, while the five anthers represent the wounds of Christ, and the fringes represent the crown of thorns. There are quite a few different species of passionflower, many of which have edible fruit. Some of these species are purely ornamental and not safe for consumption. If you are interested in wildcrafting or growing this plant for either edible or medicinal use, make sure you have one of the acceptable species. Passiflora incarnata is the most commonly used species, and is generally recognized as safe. Parts Used- Leaves, stem, and flowers. Traditional Chinese Medicine (TCM)- Though this herb is native to America, it has become widely used throughout most of the world. In TCM, it is used to help calm the Qi in cases of overload, as opposed to blockage. It's particularly good for Fire-types who are prone to heart conditions. Native American- The Cherokee were very fond of using the root. They used a poultice of the root to draw out inflammation in wounds. They also used a tea of the root to wean infants, and for earache. Insomnia- Passiflora works directly on the nervous system to help lull us to sleep. It's particularly effective for those who suffer from insomnia, as it allows for restful sleep and does not leave one with a “narcotic” hangover. This herb is especially good for people who suffer from circular thinking, acting as an “off switch” for their minds. Anxiety- Much like it's use as an “off switch” for circular thinking that leads to insomnia, passiflora helps to stop nervous and anxious thoughts from taking hold in our day-to-day lives. It also helps soothe our nerves when overstimulated and overworked. Nervous System- Passiflora is an excellent herb for the nervous system. Historically it's even been used to calm seizures. It is considered to be a great nervine tonic, which means that it soothes nerves. It helps in cases of insomnia, anxiety, anxietous depression, hypersensitivity to pain, headaches, agitation, transitioning from addictions, nervous tics, PMS, menstrual cramps, and overstimulation. Passiflora also helps those who have a tendency to dissolve into circular thinking, especially when insomnia is involved. Herpes Simplex Virus- Passiflora helps prevent outbreaks of the herpes simplex virus. It's especially helpful in stress-induced outbreaks. Summary of actions- Hypnotic, analgesic, hypotensive, nervine, anxiolytic, anti-spasmodic, and antidepressant. Drug Interactions and Contraindications- Passiflora is a strong, natural sedative and has great potential to interact with certain drugs. Please use caution if you are taking any sedatives, antiplatelets, anticoagulants, tricyclic antidepressants, or monoamine oxidase inhibitors. For most other people, this herb is considered safe for regular use, however pregnant or nursing women should exercise caution and check with their doctor before use. I only included a basic introduction to this amazing herb. 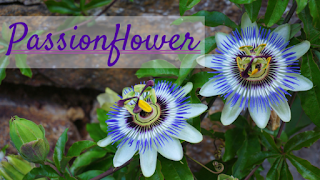 I hope you have learned a new appreciation for how amazing passionflower is. If you have any questions or comments, please leave them below. I dint know that passion flower has that much medicinal benefits.Thanks for bringing this important info to my knowledge.I will now take advantage of it. I am glad that you found the information useful and I hope you enjoy passiflora as much as I do!